The Blancpain GT Series has finalised its full-season entry list for the year ahead, which will see 10 major automotive brands represented as teams compete for glory in the fiercely contested championship. Comprising the long-distance Endurance Cup and sprint-format Blancpain GT World Challenge Europe, the series has forged a reputation for ultra-close racing between world-class GT competitors. With strong entries across the Pro, Silver Cup, Pro-Am and Am Cup classes, another exciting campaign is in prospect. A 49-strong grid will contest the five-round Endurance Cup, while the entry for Blancpain GT World Challenge Europe stands at 24 full-season cars. The list of brands set to hit the track is impressive, with Aston Martin, Audi, Bentley, BMW, Ferrari, Honda, Lamborghini, Lexus, Mercedes-AMG and Porsche all represented. Each will be present on the Endurance Cup grid this term, while six will also contest the five-round Blancpain GT World Challenge Europe. Here is a look at the teams that will represent them in 2019. The Aston Martin Vantage GT3 will make its Blancpain GT Series debut this season, with three teams set to field the new machine. R-Motorsport has expanded its effort following a successful Endurance Cup programme in 2018, adding a two-car assault on Blancpain GT World Challenge Europe. Garage 59 has switched brands to join R-Motorsport in the Aston Martin camp, splitting its two-car effort between the Pro and Am Cup categories at Endurance events. The marque will also be represented in the Pro-Am category, with Oman Racing with TF Sport contending for class honours at long-distance events. Audi will be the best-represented brand in the Pro class for both the Endurance Cup and Blancpain GT World Challenge Europe this season. Six of the Ingolstadt marque’s new R8 LMS EVO machines are set to contest the long-distance championship, while 10 will be present at GT World Challenge Europe events. In total, eight Audi entries will contest the full Blancpain GT Series in 2019. 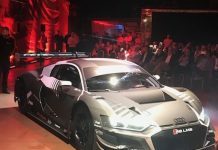 The hugely accomplished Belgian Audi Club Team WRT squad will lead the assault, deploying four cars in GT World Challenge Europe and three in the Endurance Cup. 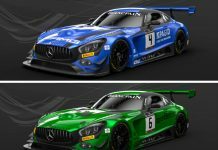 Attempto Racing and Sainteloc Racing will both run a brace of full-season cars, while the returning Phoenix Racing squad will field two GT World Challenge Europe machines and a single Endurance Cup effort. The Bentley brand has firmly established itself as a staple of the Blancpain GT Series grid in recent years. That reputation will continue to grow in 2019 as the M-Sport operation once again fields a pair of Continental GT3s for the full Endurance schedule. The British marque will be further represented by Team Parker Racing, which will campaign a new-spec Continental GT3 in the Pro-Am class of the Endurance Cup. BMW will once again be represented at all Endurance Cup events this term. The brand will contest the Am class with Belgian outfit Boutsen Ginion, which makes its full-time return to the Endurance championship following a successful assault on Blancpain GT Sports Club in 2018. The legendary Ferrari brand will continue to be well represented this season. In the Pro class, SMP Racing will resume its effort in the Endurance Cup, continuing a programme that concluded 2018 in style with a third-place finish at Circuit de Barcelona-Catalunya. Ferrari machinery has again proven particularly popular across the classes. In Blancpain GT World Challenge Europe, a trio of 488 GT3s will compete courtesy of Rinaldi Racing (Silver Cup), Spirit of Race (Pro-Am) and HB Racing (Am Cup). All of these will add Endurance campaigns, while there will be further Ferrari representation at long-distance events thanks to a brace of Am Cup entries from the Rinaldi crew and a Pro-Am effort by series newcomer Tempesta Racing. The Honda NSX GT3 will contest its first full assault on the Endurance Cup this term, with Jenson Team Rocket RJN fielding the new-spec Japanese machine. 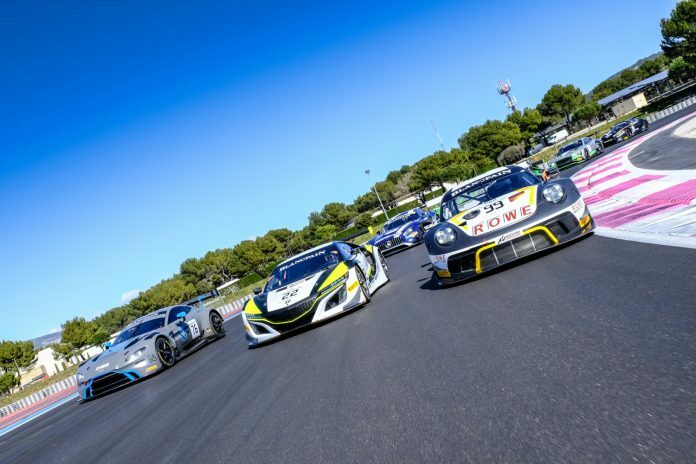 Formed through a partnership between 2009 Formula 1 world champion Jenson Button and Blancpain GT Series stalwart Team RJN, the squad will contest the Silver Cup class. With entries in the Pro, Silver Cup, Pro-Am and Am categories, Lamborghini will be represented in all four Blancpain GT Series classes this season. Grasser Racing will field two Endurance Cup cars, one of which will also contest Blancpain GT World Challenge Europe. Series newcomer Orange1 FFF Racing graduates from a title-winning Blancpain GT World Challenge Asia campaign with three full-season entries. The Chinese team will field two Pro cars and one Silver effort in the Endurance Cup, and one apiece in Pro, Pro-Am and Silver at GT World Challenge Europe events. There will be further Lamborghini representation in the Endurance Cup this term as Barwell Motorsport, Ombra Racing and Daiko Lazarus Racing all join FFF Racing in the ultra-competitive Silver Cup category. Daiko Lazarus will also field a Pro-Am car, while Barwell will defend its Am Cup title alongside fellow Lamborghini squads Boutsen Ginion and Target Racing. The Lexus RC F GT3 will contest its second full Blancpain GT Series campaign in 2019. The Japanese brand will be represented by a new addition to the grid, as Panis-Barthez Competition links up with the Tech 1 Racing squad to field a single-car effort in the Endurance Cup. The car will contest the Am category at all long-distance events this term. Mercedes-AMG enjoyed a stellar 2018 in which the German brand’s teams secured multiple titles, including overall honours for AKKA ASP. The French outfit will launch another ambitious assault this term by fielding a trio of full-season cars, with one each in the Pro, Pro-Am and Silver Cup classes. A further Silver Cup car will also contest Blancpain GT World Challenge Europe. The Black Falcon squad will launch a full-season attack, defending the Endurance Cup title it clinched last year and adding GT World Challenge Europe events. What’s more, the German outfit will continue to field a Silver Cup machine at Endurance rounds. Mercedes-AMG will also be represented by a pair of British squads at Endurance Cup events. Strakka Racing will once again hunt top honours in the Pro category, while Ram Racing will resume its successful Pro-Am effort. 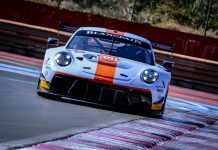 Porsche will strengthen its assault on the Blancpain GT Series this term, with a trio of Pro class 911 GT3 R machines contesting the Endurance Cup. Two of these will come from the accomplished ROWE Racing squad, which has switched to Porsche machinery for 2019. The German outfit boasts an impressive driver line-up that includes significant talent from the Stuttgart marque’s factory roster. Two series newcomers will bolster Porsche’s Endurance Cup assault: Italian outfit Dinamic Motorsport will contest the Pro category, while GPX Racing will launch an assault on the Silver Cup class.